For quite some time, the best way for someone looking to connect with a developer or agency specializing in Woo products was to visit our Affiliated Woo Workers page. Here, we listed numerous experts that could be contacted to assist with store setup, custom theme development, and so on. However, there were problems with this setup. It was long and difficult to search. We also offered very little information on what each expert offered, examples of their work, or how to get in touch with them. We wanted to offer those searching for a trusted expert an easier way to find and sort through prospective developers or agencies. We also wanted to give experts a better way to list their skills, show their work to potential customers, and receive support from us here at Woo. With all this in mind, today we’re introducing the WooExperts program, which makes it easier than ever to connect with the very best experts offering their services. Introducing the new WooExperts program. 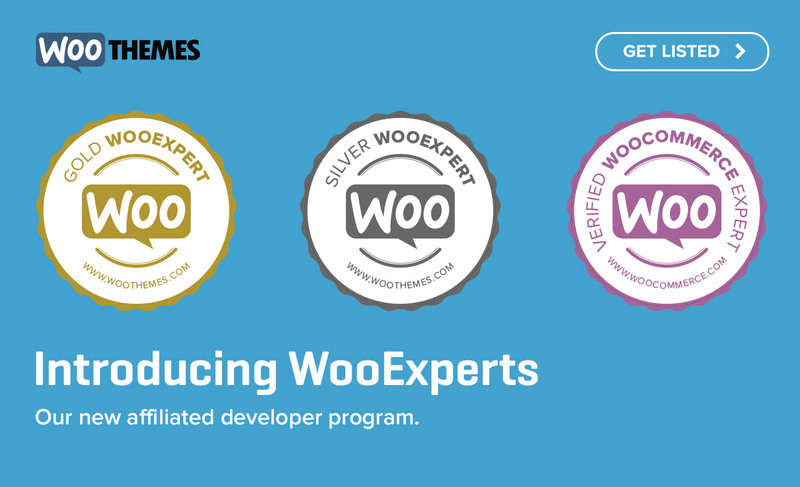 Read on to learn a bit more about why we revamped the program, how things have changed, and what WooExperts can offer you if you’re a developer or agency with Woo expertise.